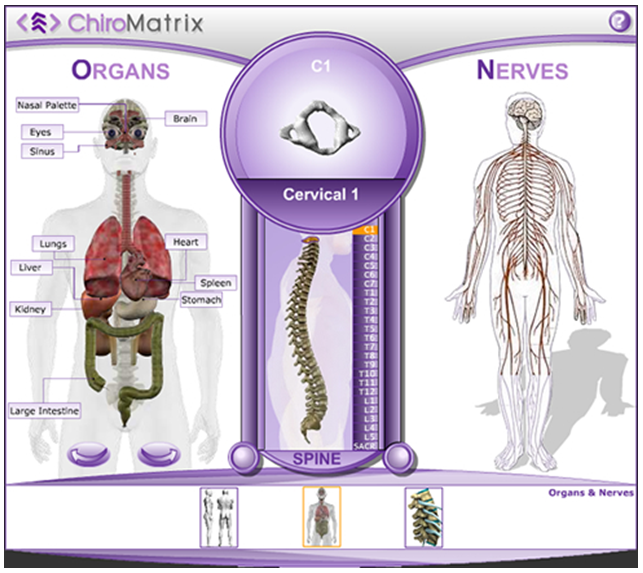 These links provide you with an interactive teaching aid that will help you understand how the spinal and nervous systems interact. Take a moment and explore to find out what organs are affected by spinal alignment, examples of proper posturing, and visual examples of subluxation and degeneration. – This module examines how the organs of your body are affected by the nerves coming out of your spine. Be sure and compare C1, “The Atlas” to the other joints of the body. – This module shows recommendations for driving, sitting, sleeping, and standing positions. – This module demonstrates how subluxations occur, and the phases of degeneration that follow. © Copyright 2016 – Atlas Chiropractic, Chiropractor in Longview, All rights reserved.